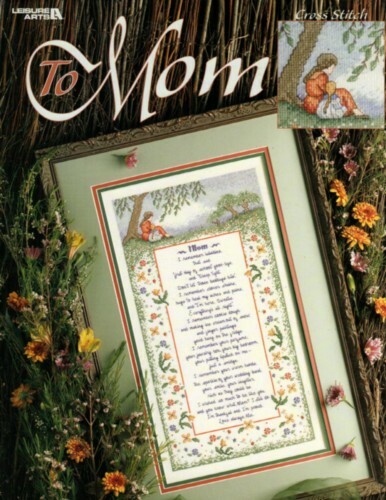 Leisure Arts To Mom Cross Stitch Pattern leaflet. Hallmark. Stitch count 131wx 242h. Price tag on cover.